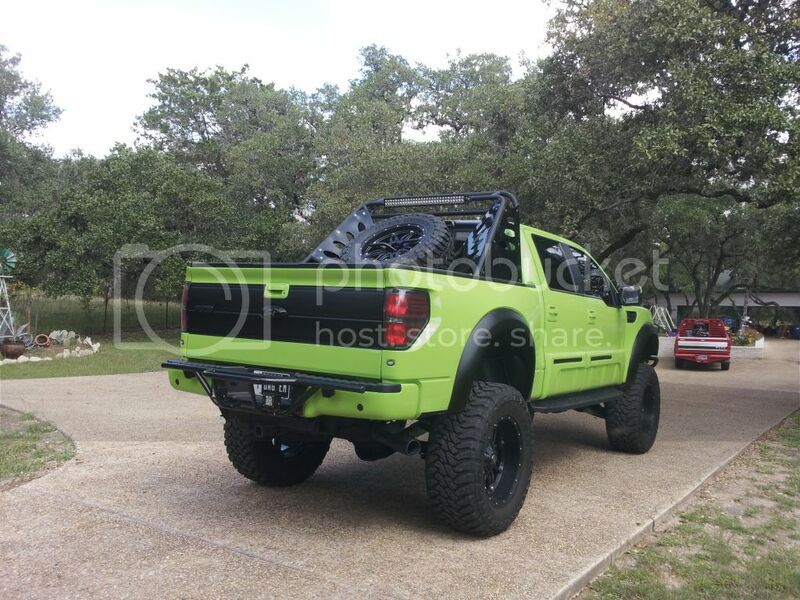 So I've seen sooooo many race red f150s on the road that i got tired of blending in.decided to paint the raptor conversion Lamborghini green(Verde) and add a few new parts. Repainted the ladder bars and frame to match the paint, ADD chase rack with a 50" and 30" LED light bars, nfab rear runner bumper with 2 dually led lights, FTX side cladding with the ftx logo removed and smoothed and painted the chrome strips black,fuel hostage 5th wheel and toyo open county mt tire. Also did the roof satin black along with gas door. More pics coming tomorrow with decals i added to the body of my logo. I originally wanted Porsche GT3 green but they mixed lambo green on accident.. Awesome truck, but I think you should lose the FTX body clading. 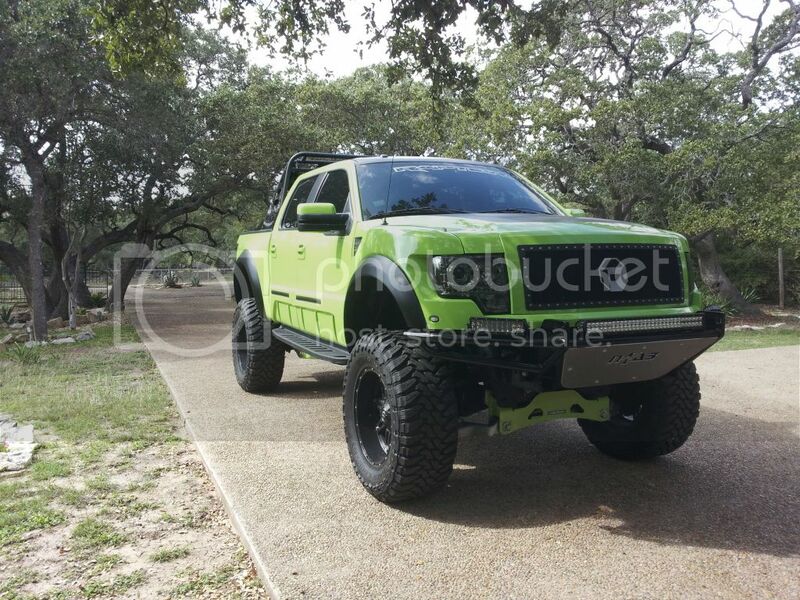 The rest of the trucks screams badass, while the clading screams autozone clearance special. It ain't blending in anywhere... How big is that thing? I like it. 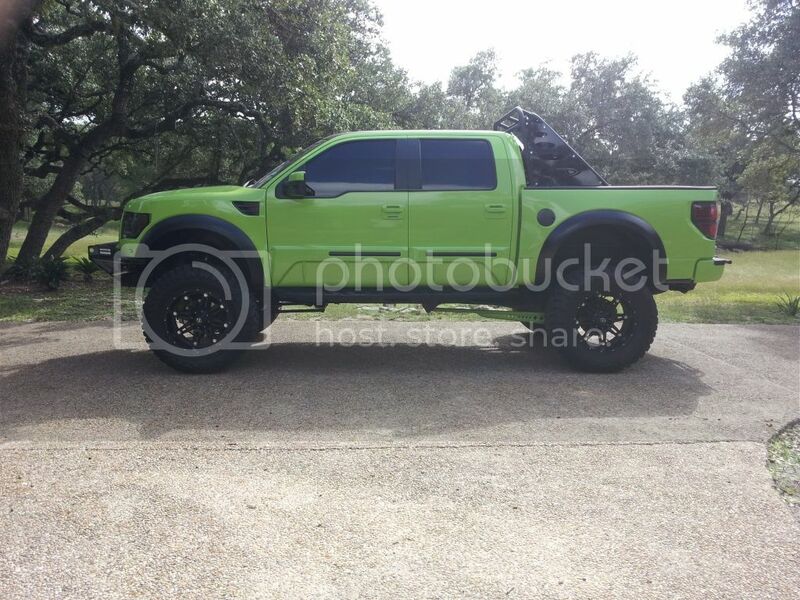 Weird I have a neighbor with a 04-08 f150 with a Raptor conversion same exact color, looks good anyways definitely stands out from anything else on the road. Although it may not be what I like, I admire your ingenuity and work and trying something new and different.